Demand: The improved fundamentals during 2017 are clearly seen in the freight rate levels during the first four months of 2018. Freight rates for Handysize, Supramax and Panamax went up by 25-27% as compared to the same period of last year. All three sectors moved from loss-making average earnings in the full year of 2017 to a profitable level in first four months of 2018. 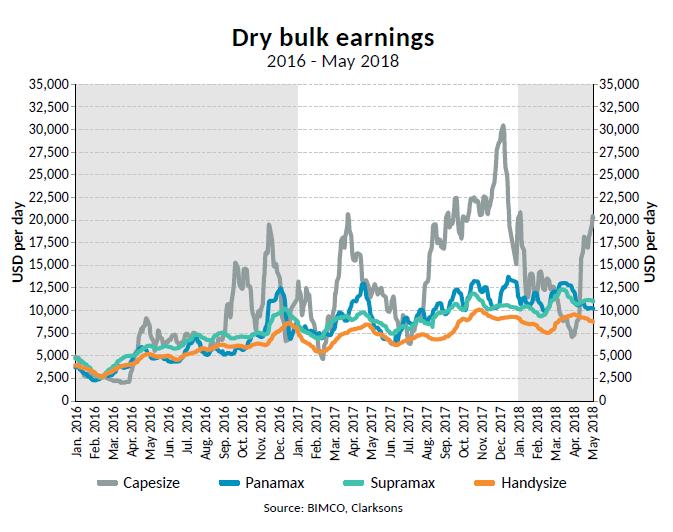 Meanwhile, capesize freight rates improved by only 5% as compared to the same period last year, and stayed within loss-making territory at USD 12,660 per day, needing at least USD 15,000 per day on industry average to cover all costs. In many ways, shipped volumes during Q1 were seasonally stronger than expected. Except for iron ore. This was hurting the capesize sector. Reported sales from the world’s top 3 iron ore mining companies were down 9% in Q1-2018 as compared to sales in Q4-2017. 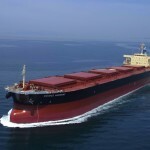 Total seaborne iron ore exports were estimated down by 11%, a weak level. 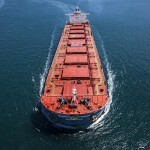 That fact clearly affected the performance of capesize freight rates, that took a deep dive during March to hit USD 7,051 per day on 5 April, before bouncing back in the second half of April reaching USD 18,192 on the 25th. 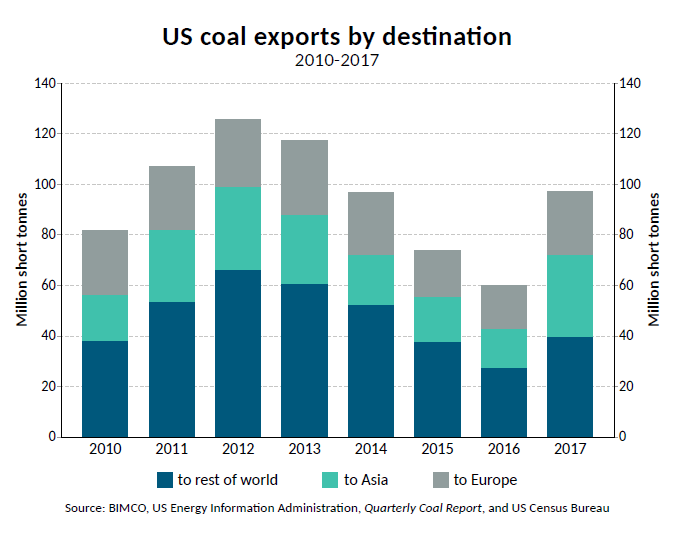 2017 also delivered a comeback of US coal exports (steam and coking). Exporting 88 mill tonnes to at least 42 countries, according to EIA. Distributed with approx. 40% being steam coal and 60% being coking coal. Exports to Asia, which benefit the dry bulk shipping industry the most, more than doubled to reach 30 million tonnes in 2017 (+109% from 2016), most of it being steam coal to South Korea and Japan. Increasing electricity demand fuels imports of steam coal with no expansion of nuclear power production taking place in South Korea and Japan. India is the largest importer of US steam coal, as a large portion of its newer coal-fired power plants require higher quality and energy content than domestically mined coal. 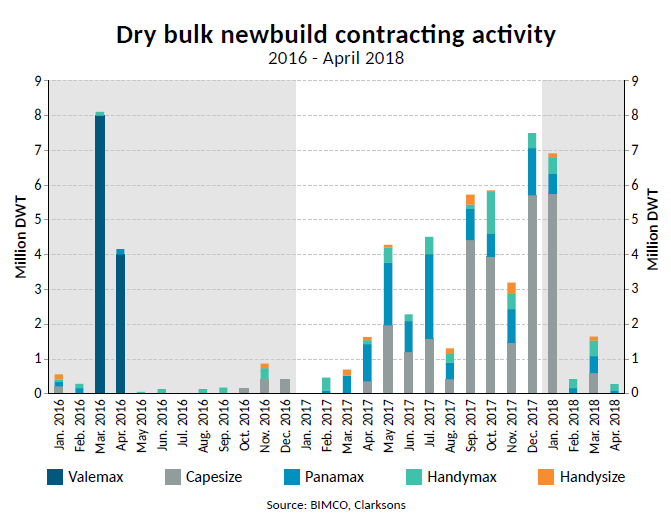 Supply: Four of the Valemax ships ordered in 2016 have entered the active fleet of “capesize” tonnage since the start of 2018. The remaining 26 are scheduled for delivery in the coming 24 months. All of them are heading for the Brazil-China iron ore trade on long term charters. 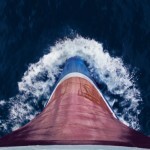 They are set to increase the pressure already felt by standard capesize ships plying that trade. 30 Valemax can transport 48 million of cargo from Brazil to China a year, and as a result are likely to squeeze out 67 capesizes. Where are these standard capesize to go for other business? For the first four and a half months of 2018, the dry bulk fleet grew by 10.2 million DWT net, equal to 1.2%. 12.1 million DWT was delivered while as little as 1.7 million DWT was sold for breaker’s yards. Newbuilt deliveries came in all sizes. 44% of the new capacity was added to the capesize, VLOC and Valemax segments at the top of the chart. 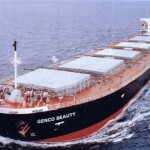 27 out of the 114 delivered newbuilds were Handysizes with a capacity less than 40,000 DWT. 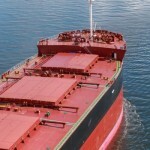 Most interesting, only 9.2 million DWT of new capacity was ordered in the first four months. This is an extraordinary and positive development – and one that was not expected either. The improving freight market conditions that we saw in 2017, meant that a higher level of ordering returned, after a year and a half of very low activity. As the freight market continues to improve, a continuance of ordering is expected. Whereas the low level of newbuilding orders is consistent with being on the road to recovery, the low level of demolition activity is not. 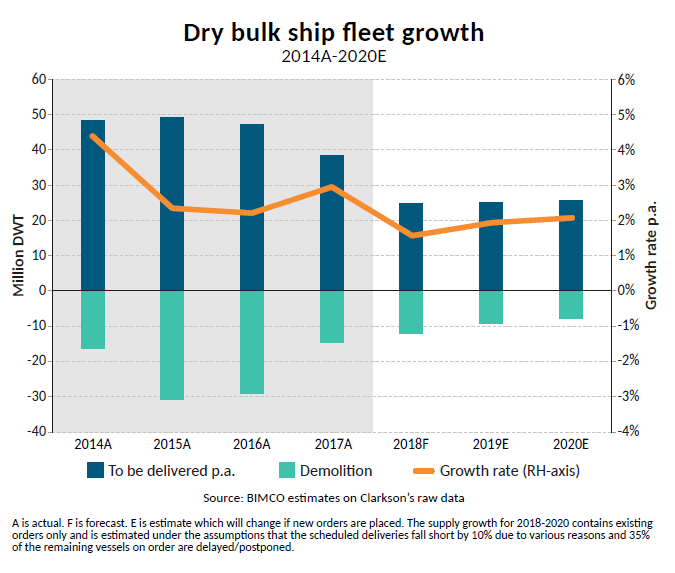 Dry bulk demolition during the first four months was down by 73% compared to last year. With these new orders coming in, its relevant to question whether they will derail the ongoing recovery. The reply to that is: they will not derail it – yet. All but a few of the new orders are set for delivery in 2020. But in turn this also mean that there is no more room left for new orders to be placed before the balance potentially tilts. As BIMCO sees 2% demand growth as the long run average, a fleet growth of 2% or less is required to avoid a worsening of the fundamental freight market conditions. Considering the current orderbook and our assumptions for actual delivery date – 2019 and 2020 are now “fully booked”. 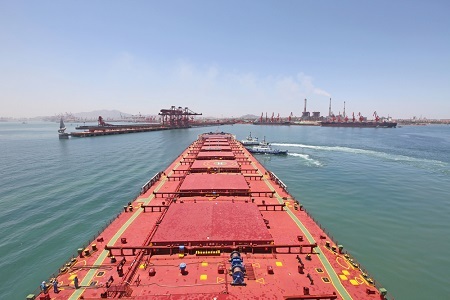 Outlook: In summary, the dry bulk shipping industry remains on the road to recovery, as demand continues to keep its nose just ahead of fleet growth, while scrapping and ordering remains subdued. 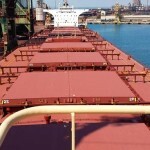 What could upset the recovery is the looming trade war between the US and China that has caused a lot of commotion already, including within the dry bulk shipping industry. Soya beans are at the centre of attention. Even though, it isn’t officially a trade war yet – the uncertainty it creates amongst shipping industry participants is very real. Will we see Chinese stockpiling of Brazilian soya beans, in order to reduce tariffed imports from the US later in the year? The coming months will tell us. Right now, we know that China is importing from anywhere but the US. But be aware that this is simply normal seasonality – almost no soya beans are exported from the US into China in second and third quarter of the year. slowing out of the US. All due to seasonality. Coal, wheat and coarse grains are likely to stay flat from Q1. Looking into exports in Q3, grain trades are likely to grow, due to larger growing areas, good weather conditions and large harvests anticipated. Wheat from Russia and Ukraine and corn from Brazil will lift shipping demand. In recent years, we have heard a lot about the closing of Chinese steel mills which in turn ’should’ reduce production capacity. At the same time, we have seen an almost unchanged production level. The fact is that the capacity that has been closed and currently is being closed comes from old and unutilised facilities. Instead, China builds new, mills that are using higher quality imported iron ore. In Q1-2018, China produced 5.4% more crude steel than in Q1-2017. Growing production by 10.8 million tonnes for the quarter. This three-months growth compares to one month of production by the world’s second largest producer, India, at 9.3 million tonnes.